The August 21, 1981, assassination of then-President Benigno Simeon “Ninoy” Aquino Jr. ultimately led to what is today known as the People Power Revolution (or the EDSA Revolution), with the overall goal now recognised as being to remove Ferdinand Emmanuel Edralin Marcos Sr. from the Office of the President, and to install Maria Corazon “Cory” Aquino y Cojuangco y Sumalong as the first female President of the nation up until that point. 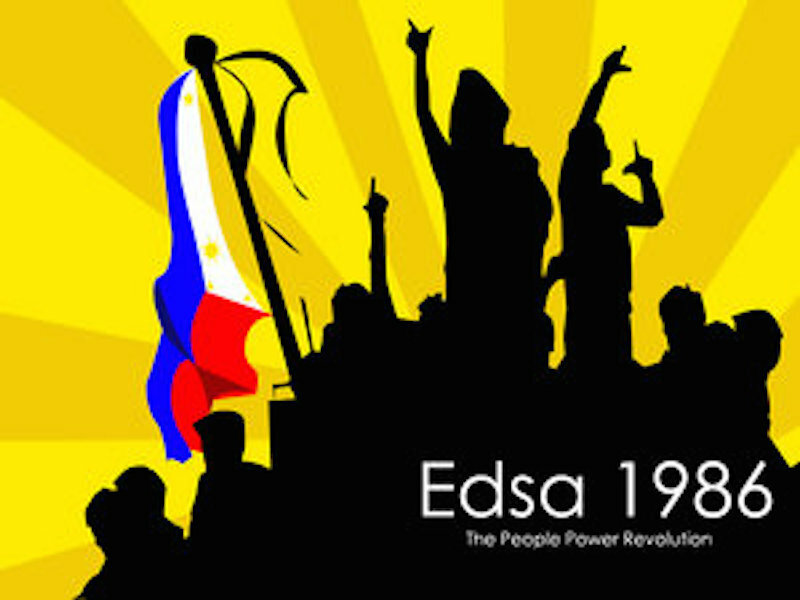 Referred to as the EDSA Revolution due to the fact that as many as 2 million civilians (not to mention notable military, political, and religious leaders, including Cardinal Jaime Lachina Sin) marched to the iconic thoroughfare, the Philippine Revolution of 1986 saw unprecedented scenes that were fuelled by the opposition and its resistance to what were perceived as many years of governmental corruption under the Marcos regime. The declaration of Martial Law, which was brought about by Marcos being prevented from running for a third term by nothing less than the Constitution of the Philippines, was intended to significantly inhibit the civil liberties of the Filipino people (such liberties including freedom of speech and freedom of the press) and allowed Marcos to take control of the nation’s military forces to achieve these means. A notable economic downside to this declaration was the crumbling of the Philippines’ own economy, essentially forcing the country off of the list of significant regional players on this platform. On August 21, 1983, after three of years living in exile in Boston, a Taiwanese commercial flight brought one-time President Aquino back home to our shores, yet he was assassinated as he disembarked the plane on the tarmac of what is now known as Ninoy Aquino International Airport (NAIA). The country was both shocked and angered by the news of the killing, leading the already-disillusioned people to become even more suspicious of the Marcos regime, thus setting the stage for a revolution. As a result, Marcos fled to Hawaii on February 25, 1986, boarding a United States Air Force helicopter from Clark Air Base in Angeles City, Pampanga, after which he was flown to the US territory of Guam, and then onto Hawaii. The nation as a whole was said to have rejoiced upon hearing the news of his departure, and Cory Aquino was quickly installed as the 11th President of the Philippines. A People Power II/2001 EDSA Revolution was also staged to protest against then-President Joseph “Erap” Ejercito Estrada’s regime and the widespread allegations of corruption against it, showing once again that – when united – Filipinos are more than a match for anyone else.